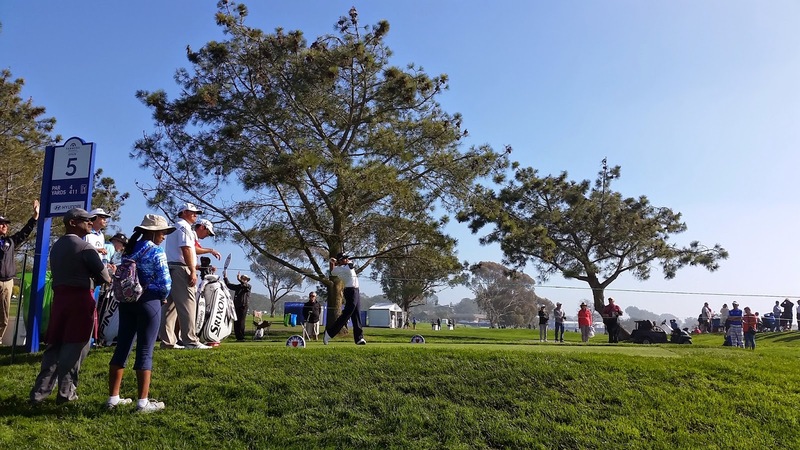 Michael Thompson hits his tee shot from the second tee during round one of the Farmers Insurance Open on the North Course at Torrey Pines. 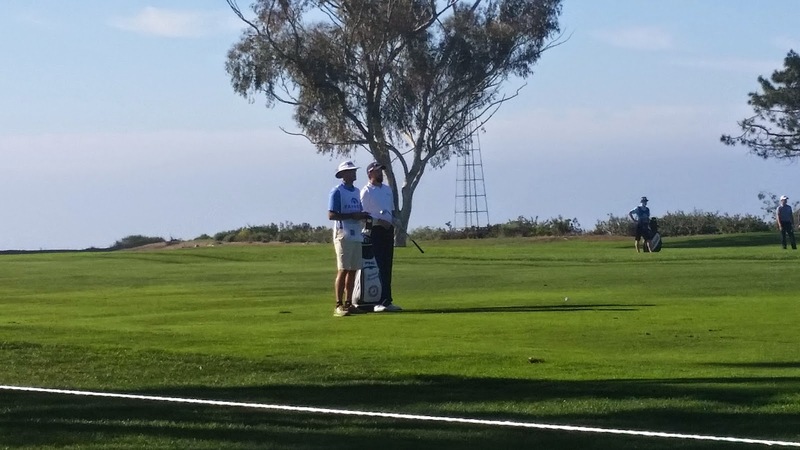 Michael Thompson's first competitive round at Torrey Pines in a while was very successful. The day started off slowly with two fog delays which moved his first round tee time at the Farmers Insurance Open by two and a half hours. 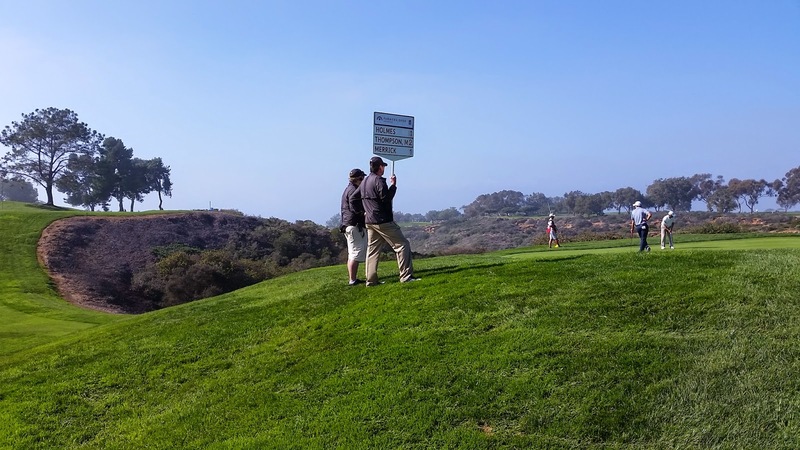 Despite the delay, Michael started fast out of the gate making birdies on his first two holes on the Torrey Pines North Course. Michael jumped out to a fast start making birdies at the first two holes. Over the course of the day, he poured in eight birdies and had decent birdie opportunities on all but three or four holes. He shot seven under par which has him in second place with roughly 40 golfers still on the course needing to finish their first rounds. Michael's tee shot on hole #5. Despite scoring well, Michael's driver was slightly off, especially early in the day. 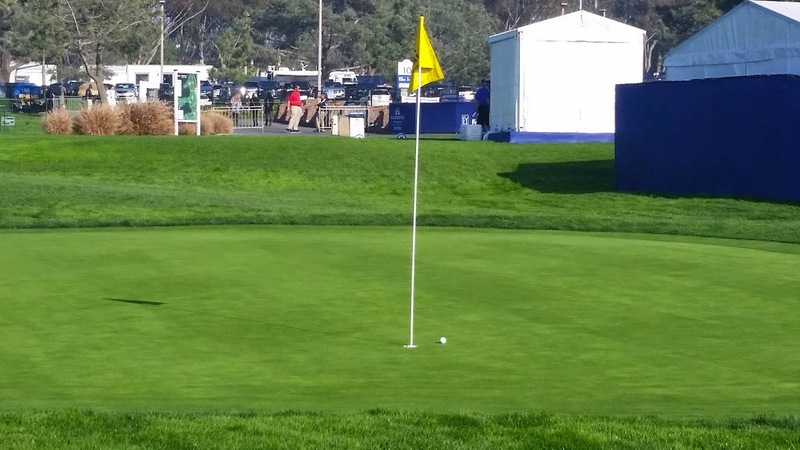 He didn't hit a fairway until the fifth hole but he was often just feet off the fairway. His approaches out of the rough were superb all day and missed fairways didn't cost him at all. In fact, his lone bogey came when a short par putt lipped out on the par three third hole. As the day wore one, his driver started to find the fairways more regularly. Michael and caddie Matt Hughes contemplate the second shot on hole #8. He putted solidly all day and dropped lengthy birdie putts on hole 5 (~12 feet) and 17 (~20 feet). The Poa Annua greens got more and more bumpy as the day went on as the grass grew but the difficult conditions didn't appear to bother Michael. Michael's approach shot on hole #9 landed 6 inches from the hole setting up a tap in birdie. Michael will be playing the South Course at Torrey Pines for Friday's second round. He will once again be paired with John Merrick and J.B. Holmes. 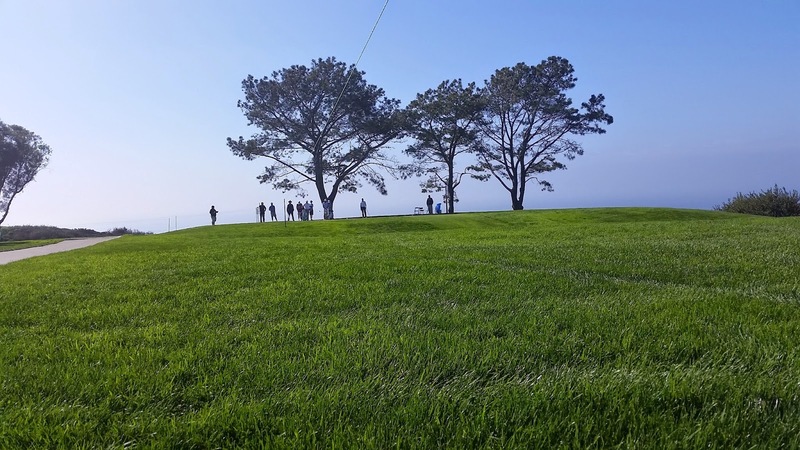 They are scheduled to tee off from the tenth hole at 9am PT but fog delays remain a possibility.